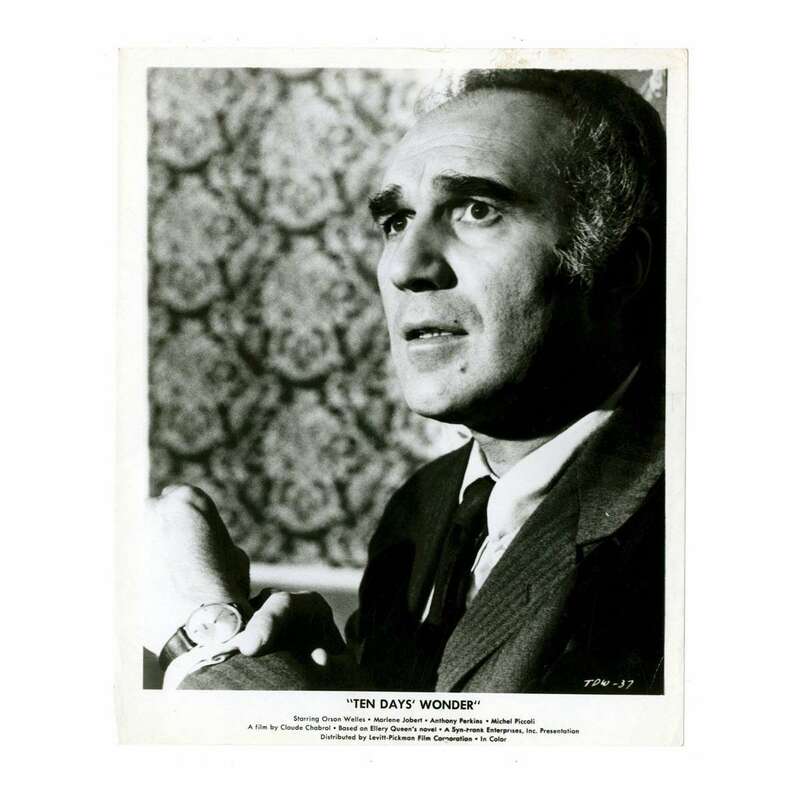 > Lobby Cards and Photos>MICHEL PICCOLI 8x10 still '72 close up of the French actor from Ten Days' Wonder! MICHEL PICCOLI 8x10 still '72 close up of the French actor from Ten Days' Wonder! An Original Vintage Theater-Used 8" x 10" Movie Still of THE DAYS WONDER (LA DECADE PRODIGIEUSE in french) Condition: Good to Very Good (C5) There is a faint brown stain in the right of the top border that slightly extends down into Piccoli's head. Otherwise, the still is in pretty good condition! La Décade prodigieuse (Ten Days Wonder) is a 1971 French murder-mystery film directed by Claude Chabrol and starring famous Orson Welles, Anthony Perkins, Marlène Jobert and Michel Piccoli.